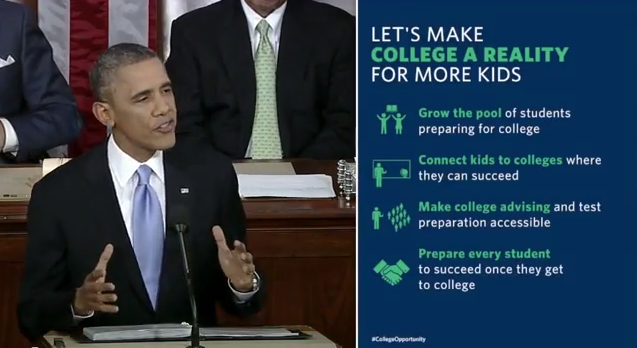 During the White House’s live stream of Tuesday’s State of the Union address, iMentor was once again included in President Obama’s message about improving college opportunity for young people. iMentor’s commitment to match 20,000 new students from low-income communities with mentors over the next five years was prominently featured in a graphic that appeared in a split screen alongside the president. It was the second time this month that White House has highlighted iMentor. Also worthy to mention is the Social Impact Exchange. S&I 100 is the first-ever broad index of nonprofits with proof of their results and are ready to grow! Choose from among 100 high-impact solutions to America’s most pressing problems and nearly 16,000 local affiliates implementing them.